Why? Because the whole Metro Detroit area is a black hole of despair and self-pity, and full of people who refuse to acknowledge, or can’t see, the basic problems (hint: Kwame is only a small part of the problem). The whole state has a lot of problems, including but not limited to, a city that leads the nation in crime, poverty, and stds, is in the top five for obesity, and for being sedentary, and trails the nation in high school graduation rates. Furthermore, Michigan is one of only two states to lose population in 2007, an exodus made up in large part by the highly educated and highly desirable 18-35 year old demographic. The Metro area has a dismal public transportation system. The state ranks 39th in terms of education level, is the worst for job hunting, has the nation’s highest unemployment rate, has an over dependence on one industry (that just happens to be on a steep decline), is last in the nation in entrepreneurial activity, and my own personal peeve, an inability to get a smoking ban in place. The list could go on and on. I’m constantly told, “you’re just the kind of person we need here…” Of course, but so are most of the people who are leaving. That’s because anyone with an education, any ambition, and a desire to live in a healthy, livable community either has left, will leave, or wants to leave. Michigan’s going to end up with exactly what it wants, an unmotivated, dependent, overweight, undereducated, lazy, aging, and largely unhealthy population. I want no part of that. I’m also told, Michigan, and Detroit in particular will “turn around.” Uh…when? I’m in my mid 30’s. How much time do you think I have? 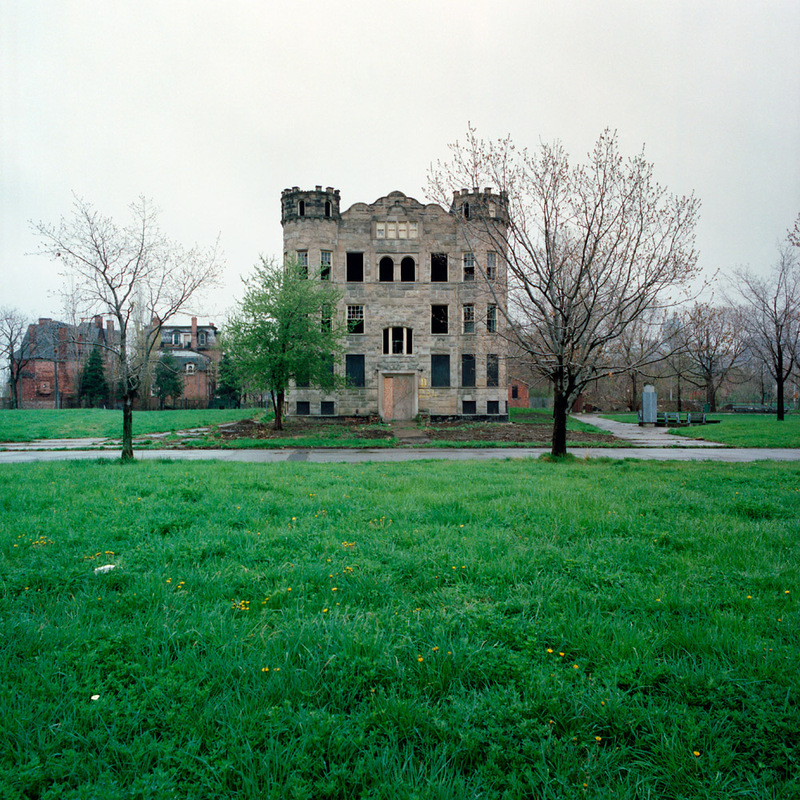 Detroit’s had many “renaissances,” and guess what, it’s just as bad off, if not worse than it was 20 years ago. The Renaissance Center opened in 1981, at just the start of the previously worst downturn in the state’s economic history. “Detroit’s not bad,” I’m constantly being told. Sure, start reading this from the top again, and then go drive south on Livernois from the northern end of Detroit, and then head back north on Schaeffer. Tell me Detroit’s not that bad. Maybe that tiny area near the stadiums and the Fox theater is not that bad, but Detroit’s a really big rotten donut. Michigan’s still largely dependent on the auto industry. Even though we’ve known for more than 20 years that manufacturing was on the decline in this country, we continued to rely almost solely on one of the most precariously positions manufacturing companies in the world for our economic well being. We were content to sit around and take what we could while we could. Instead we should have been looking to the future. Anyone who thought that line workers making upwards of $100,000 a year, or laid off workers being paid 95% of their income or, being paid to “search for jobs, or be retrained,” was actually a sustainable way to run a business had their head in sand. If the Big 3 survive, they’ll be much different. The workers will be paid less, and there will be less workers. The worst for Michigan is probably still to be felt. The transition to whatever comes next is going to be painful for Michigan. Detroit, and Michigan have some hard times ahead. So does the rest of the country, but Michigan’s been leading the pack on the way down, and never seems to lead on the way up. Michigan’s not investing much in the future, and instead continues to dwell on the past. It’d be easy to blame the state’s leadership, but of course, they’re elected by the populace. It’s been easier to get offers for high paying, quality jobs out of the state than in it. According to Richard Florida, amongst others, the new economy jobs and workers have been and continue to migrate to the centers of the new economy. Just as workers migrated to Detroit to work on the assembly lines of the then burgeoning auto industry, workers are heading to cities, and regions, around the world that provide them with what they need, namely opportunities. Michigan and Detroit just don’t offer those opportunities, at least not in large enough numbers. So we left. What else could we do? It’s not that we loved the area. The only thing keeping us in town was family, friends, and our work. Well, family and friends don’t pay the mortgage, put money in savings, or provide to many opportunities, and the work was slowing down dramatically. Seems everyone with a job was just hanging on for dear life, and the employers knew it. Low pay, long hours, and a miserable work life. It just isn’t worth it. I stumbled upon your blog from a Google search. 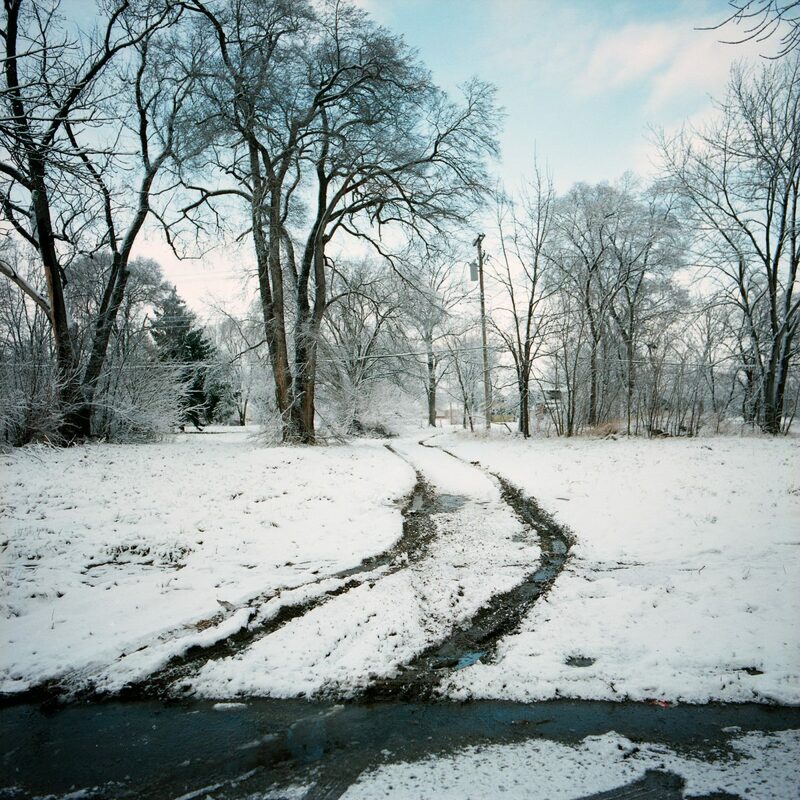 Your photos of Detroit are gorgeous, evoking equal measures of beauty and sadness. But I don’t understand your motivation for blogging. If you’re leaving or have left Detroit because “the whole Metro Detroit area is a black hole of despair and self-pity,” why do you contribute to that despair yourself? I don’t advocate mindless boosterism; at minimum, we ought to be honest, and reality in Detroit is sobering. But why share cynicism in a region that is already engulfed by it? That only adds to the pervasive resignation that makes the region so unappealing. The area is bad. It’s really bad. My saying doesn’t make it so, just as my photos don’t. You don’t mind the photos showing burned out houses but, putting it in words is too much. I guess I understand, and I’m sure others agree. I think Metro Detroit has a huge amount of potential, but barring some huge collective change in motivation and desire it will never change. Obviously most will be alright with that. As long as they can make a living, and root for some pro sports teams, life’s good. For others, like myself, that’s not enough. I want Metro Detroit to be an area where people care about their health, care about collective health of the area in which they live, and realize they’re all in the same boat. You can’t let Detroit rot, and think the suburbs will survive unscathed. Maybe I’m not really able to let go. I love Detroit, but I hate it as well. 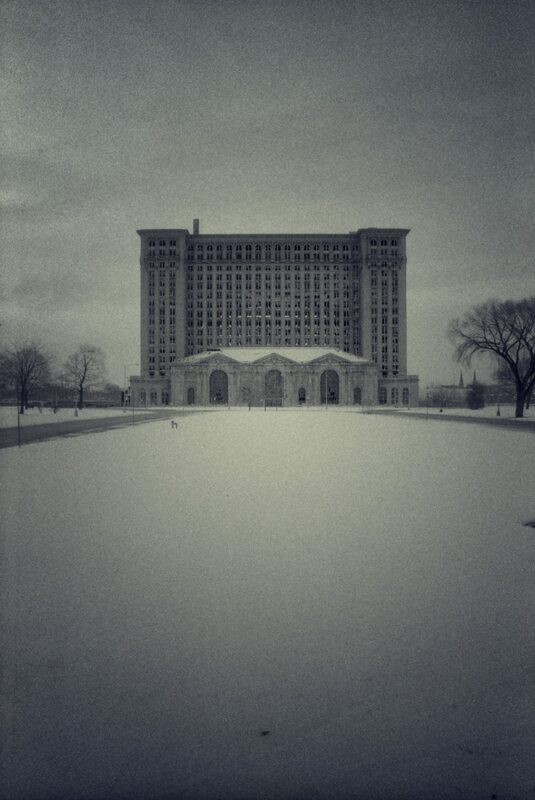 So I left…again, and while I’m in an area where almost everything is so much better, I still miss Detroit. I just noticed I was on your blogroll. (don’t know how that got passed me?) Who are you? Can’t find any contact info. I think your post sums up a lot of what the younger generation feels about MI/Detroit. We want to love it and stay,.. but there’s just so many things that make it hard to do so. I 100% understand where you’re coming from. Good luck with your move! I haven’t really let anyone know about the blog, though, certain people do know. I have friends, family, business associates and clients in the Detroit area, so I never really put my name anywhere on the site, as so many take it personally when I write not so nice stuff about the area. That said it’s not too difficult to find out who I am, if you dig enough. We’ve still got family and friends in the area, and I’ve got plenty of photo projects to finish up in Detroit, so we’ll be back frequently, but I don’t know if we’ll ever move back. Thanks for the encouragement. And I’ve long enjoyed your blog. You have done a great job articulating what so many young people in Detroit are feeling. My husband is a UAW member and has been on strike for 9 weeks now. I work in Real Estate and Property Management. We have had it with Detroit and will be trying to leave soon. IF, and thats a big IF we can sell our house we are looking toward South Carolina. The whole area is depressed and it started in 2002 but it is getting more attention now because the recession wave has made its way across the country and the true pain and the severity of the job losses and lack of tax income is being seen nationally. Thank God we are thirty and not fifty picking up and trying to start over. Best wishes to you and your family. Detroit, a nice place to visit but trust me…I used to live there and you dont want to! I read your response (echo?) to the post I dropped to Dan Howes in the Detroit News. I am a native Detroiter (West side, St. Mary’s of Redford Parish) who has been kicking in and around the Great Lake State for many of my 46 years. I have made a lot of money, and lost a lot of money, and would not have it any other way. If I still had a lot of money, I would likely still be in that place where so many people are just damned bitter at the train which no longer stops at the station. Hell, the STATION isn’t even open any more. We live in interesting times. In some important ways, Detroit has been in the vanguard of urban development and policy of this nation. In some important ways, it still is. Watch for more Detroits throughout the nation. Methinks that Detroit and Michigan are just further down a road that much of our nation and even civilization started on a long time ago. It will be interesting, sweet, sad to watch. I really like it here in MD. The people seem nicer, the country is very pretty, and the people dress a lot better. More nice looking women too.